Purpose has always been a part of brands, but now instead of being hidden within the company’s walls or the founder’s head, brands are leading with it. And for good reason. Not only do your customers, your associates, and the public at large, want to know what you do, they want to know why you do it. 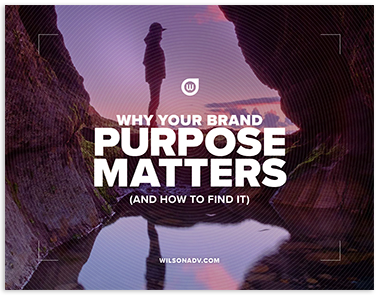 Get your free copy of Why Brand Purpose Matters to see why purpose matters and how to rediscover yours.